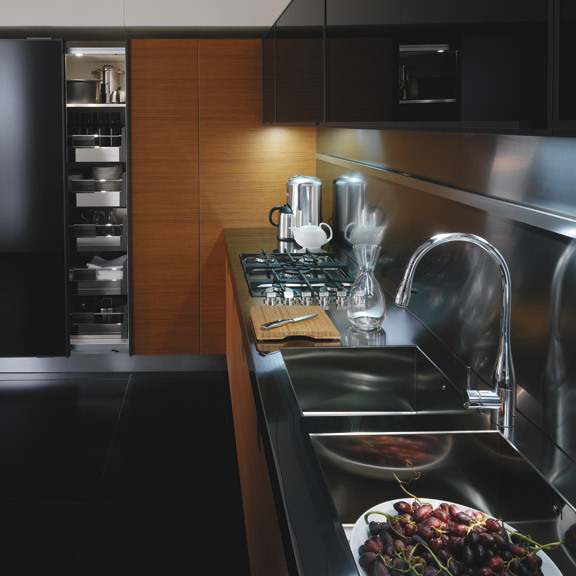 Shape shifting kitchens are popular in open plan spaces as they allow the kitchen to become less obtrusive when not required. 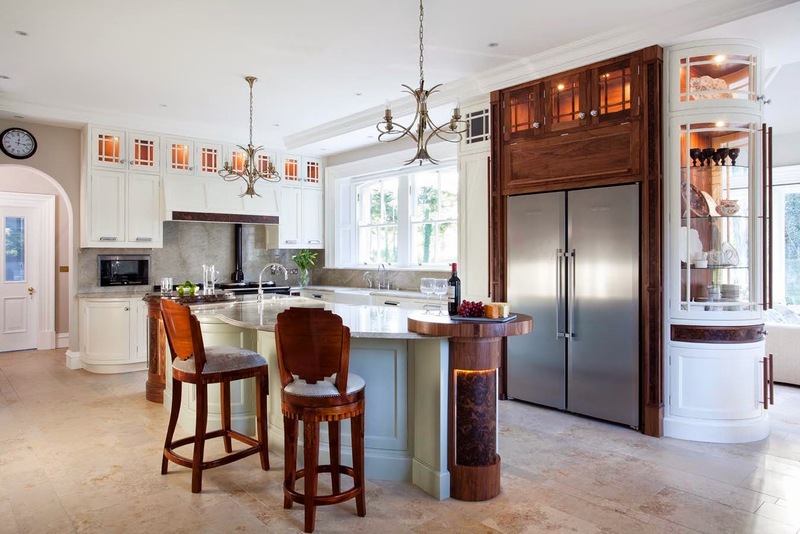 One popular and easy method of creating this concept is to use sliding doors to conceal the functional elements of the kitchen. 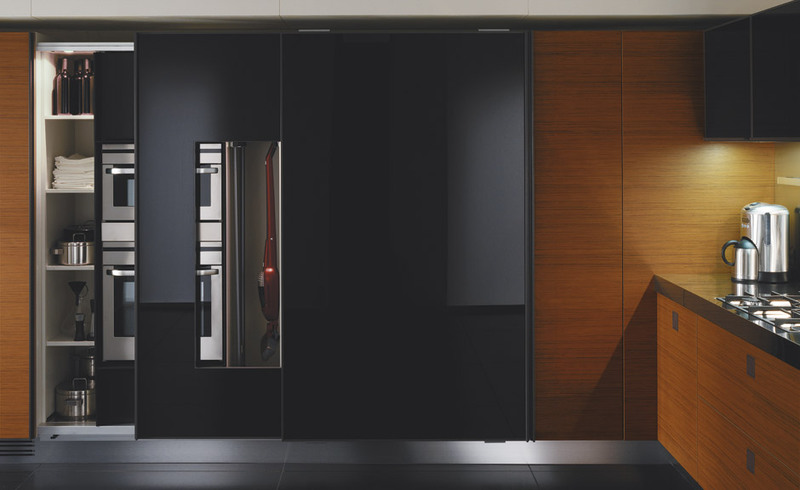 In many cases the designer will use the same components required to create a sliding door wardrobe to create this kitchen feature. 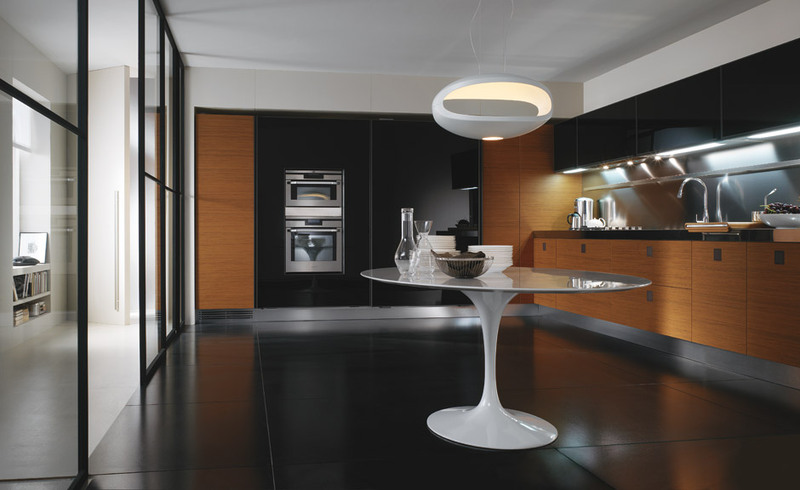 It is very cool to slide the doors back and make the kitchen disappear but it can become very annoying if the chosen designer has not properly thought through the individual cooking patterns of the end user! How annoying would it be if you proudly slid back your wardrobe door, or should we say kitchen door, to reveal your new expensive ovens, only to find out that the door you have just moved is now blocking access to essential ingredients and non-consumable items needed to prepare the meal for your guests! Those doors better be on a good running system because they will start moving with great speed as tempers wear thin! This design tries to address the issue by having a window displaying the ovens. The idea is great but you could argue that it defeats the original purpose of the sliding doors! This design is exceptionally good though with careful consideration given to functionality and aesthetical appearance. 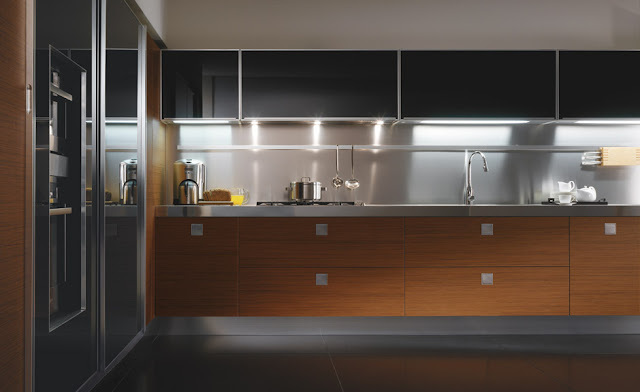 The mixture of aluminium framed glass doors and stainless steel worktops make this kitchen appear very desirable to the modern user while the veneered wooden doors add a little warmth to the picture. All in all a great design but The Mogul always prefers to use pocket doors were possible! 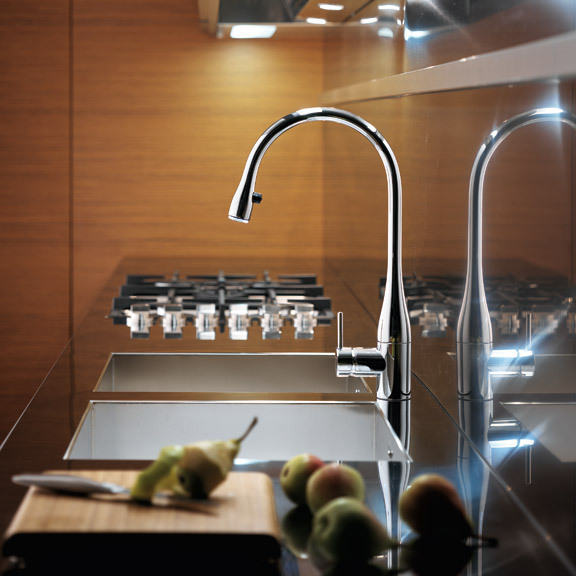 Check out the KWC Eve tap with integrated LED's. Very nice!